I contacted Adam about my job persuaded by the good reviews.Adam contacted me promptly and we discussed what was needed and advised me on areas that I had overlooked. this was compounded bby a further site vist to asscertain the scope of the job. at no point did I feel pressureised into doing what they wanted to do, but was competently and professionally advised what was required to complete the job compliantly, even though the job was under the "Permitted Developement" remit. Adam came back quickly with a detailed quotation for the works including a breakdown of hire and material costs. Adam and Kevin, his brother turned up promptly at the prearranged time, having informed me of any delivery of plant etc. They made an immediate start after discussing what the days activity entailed. They worked as a well organised practised team without any lengthy discussions about who was doing what, both knowing each others next move. At no point was I not fully informed of any unseen variations, or consulted about where the oversite was placed or salvged items stored. 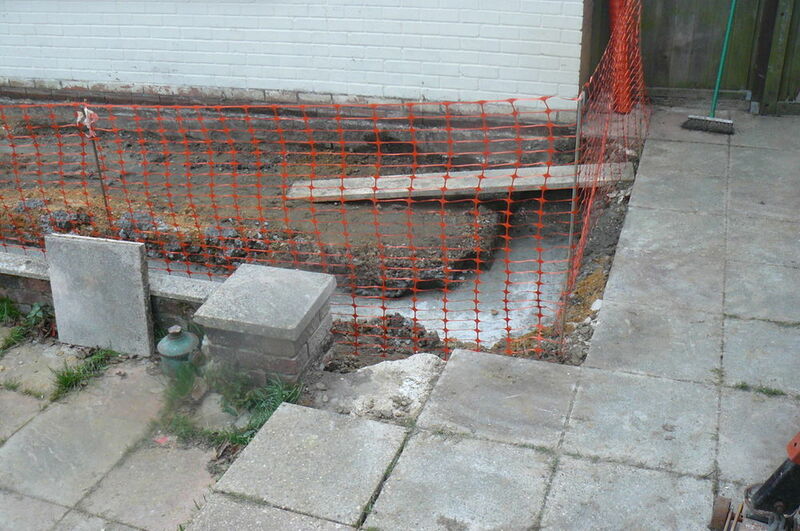 this particular job revealed an unforeseen glut of concretefrom a previous project that had been hidden by paving slabs, there was no complaint from them they just carried on and cleared it first consulting me as to where to place it. At the end of each day the work area was cleared and made safe, even to the point of plastic barrier put up around the excavations. I was informed of all the logistics and when the next visit would be. at one point coming to inspect the site before laying the blockwork to check weather and and actually aborted the work due to expected extremely low temperature forecasts. To summarise I would not hesitate to employ ALK Goundworks, again they work competently and professionally, with the minimum amount of disruption. punctuallity, politeness are the norm with these Guys, Adam and Kev. their quotes are competitive and complete with no surprise "Extra Work" . They give you exactly what is required in a pleasant, friendly, professionally safe manner. I’ve had them work for me and can only agree, great job as always! Built my extension. Professional and tidy and reliable. This entry is great, the work was completed to a high standard, on time and at the agreed price. 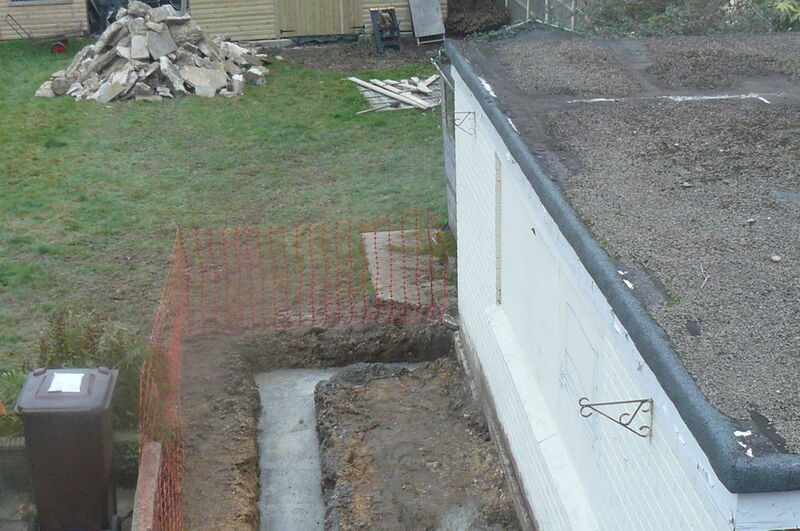 The site was cleared every day and the builders were always polite and punctual.